The early signs were unconvincing. Outside, heavy showers thinned the passing trade. Inside, a sea of empty chairs in the basement of a labyrinthine night club in need of a makeover. Welcome to the coal face of comedy. A world away from starry names, residencies, simulcasts and stadium tours. If Luke Benson was worried as show time came and went, he hid it well. He moved among the audience, a big friendly Geordie, meeting and greeting as numbers edged up. Hats off to Luke for having the confidence to wait until the audience reached double figures before starting his act. It was a disarming and winning approach. I was already on his side. Newcastle and the ups and downs of Luke’s life featured prominently in the early exchanges. Not ground breaking, but noticeably well written, confidently and competently performed. Luke got the sparse audience laughing together immediately, and built from laugh to laugh. An incursion into self-help gurus was less successful and, understandably, linking the material into a slick set still needs a little honing. 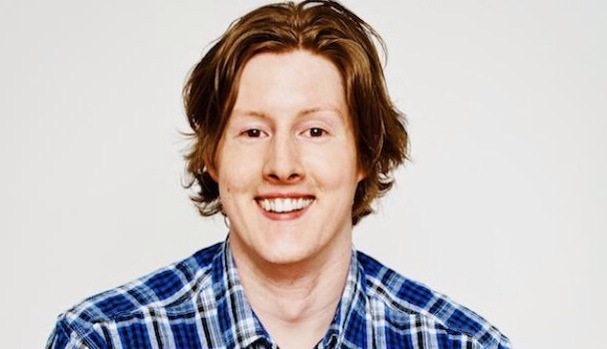 Ready to categorise Luke Benson as a “blokes” comedian, he surprised with a throwaway line of impressive verbal dexterity that was thoughtful, clever and very funny. He did it again later, and then again. There’s also a hint that Luke possesses a comedic physicality, a la Miranda Hart, that he can utilise at a more suitable venue. As the show progresses, it’s apparent that there’s more to Luke than initially meets the eye. Laughs come thick and fast, and it’s easy to see why he’s so in demand as a performer and MC. Luke name checked his other show, Working Men’s Club, which sees him teaming up with David Hardcastle for laughs, games and songs. It’s on at the Laughing Horse @ The Free Sisters at 7.30pm. I’m going. Luke Benson is a genuinely funny guy and deserves more than his fair share of the Edinburgh audience. Date of live review: 31 July 2014, Laughing Horse @ Espionage.